In the Mideast, only one thing is ever certain. Expect the unexpected. The smallest incident can flare up overnight and alter even God’s well-laid plans. The latest conflagration erupted over something that Israel has been doing for 42 years. The announcement of plans for 1,600 new illegal settlement apartments in Occupied East Jerusalem — the slated capital of the future Palestinian state — would have been a mere irritant for the US in normal circumstances. But US president Barack Obama still has egg on his face from his early failure to wrangle a settlement freeze from Israeli Prime Minster Benjamin Netanyahu. 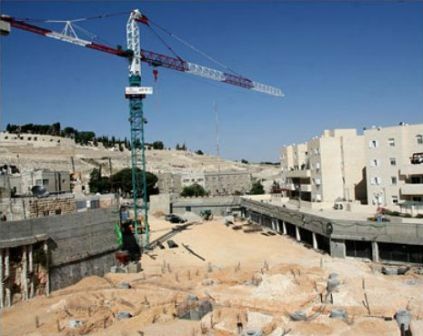 Netanyahu only agreed to a meaningless 10-month halt, excluding “natural growth” and East Jerusalem builds. A loophole large enough to accommodate an elephant. And after a year of walking a high-voltage tightrope to resuscitate peace talks — one that largely exposed the US’s inability to stand up to Israel and sent the Arab world into a spiraling depression – the Jewish state’s announcement of more settlement homes during Vice President Joe Biden’s recent visit to inaugurate a new round of peace talks hit this American administration like a ton of bricks. Netanyahu — for all his protestation that the announcement was unintended and “innocent” — is known among world leaders as a liar bar none. And nobody bought his latest whopper. And that is the real difference this time around. Over the weekend Foreign Policy magazine dropped an article that CENTCOM Commander General David Petraeus — responsible for US security interests in the Middle East — ordered an unusual Pentagon briefing for Joint Chiefs of Staff Chairman Admiral Michael Mullen on the Palestinian-Israeli conflict. Hell, I could have told him that. American troops fighting Salafi jihadists in the region are endangered each and every time Israel makes a move to undermine Palestinian rights — daily violations flashed across Arab TV screens that anger the masses and are the number one recruitment tool for Salafi groups worldwide. And according to Foreign Policy’s Mark Perry, Petraeus’ unprecedented initiative delivered the stark warning that while Israel was important to the US, it was not as important as the lives of American soldiers. Now put this in context. Every time Obama has sought to advance his Mideast agenda, Israel has managed to put a new cog in his wheels. The US president started off his term insisting that Arab-Israeli peace be dealt with before Iran’s nuclear issue, and has had to reverse his plan due to Israeli pressures. His insistence of a settlement freeze was rebuffed by Israel, he spent long months just trying to wrest a lukewarm endorsement of a Two-State solution from Netanyahu, and instead of the goodwill gestures he requested from his “close friend,” Obama has to contend with a new Israeli condition that Palestinians recognize the “Jewishness” of the state of Israel but have no conditions of their own. This relationship was cold well before Biden set foot on Israeli soil. Note that Obama has not yet paid a visit to Tel Aviv, although he has already in his first year visited Riyadh, Cairo and Ankara. Undoubtedly, part of the problem is the right-wing coalition leading Israel’s government. The wily Netanyahu is likely straining as far as he can toward a centrist position without having his government collapse. And as tensions with the US grow, the religious-right parties in his coalition are guaranteed to hold his every action further under a microscope. It will be up to him to decide between a warmer relationship with the US or his coalition of extremists. So far he has gone with the crazies. Obama is right to make Netanyahu choose. His administration has bent over backward to pander to Netanyahu’s domestic considerations, and has in the process lost an immense amount of credibility in the Mideast — and globally — for its timidity in the face of Israeli intransigence. Reminding Obama that Israel “enjoys vast bi-partisan support in Congress,” the lobby advises him to resolve matters “privately” and warns against any distraction from the problem of Iran’s nukes. Will someone please make them register as a foreign agent? The backdrop to this escalation is Secretary Clinton’s long phone call to Netanyahu last Friday when, according to Israeli newspaper Haaretz, she made at least four demands which she expects Netanyahu to carry out in order to restore “confidence in bilateral relations” and jumpstart peace talks. Included are demands that Netanyahu investigate the announcement of the settlement plans to see if this was a “deliberate act;” reverse the decision to construct the 1,600 settler homes; make a “substantial gesture” toward Palestinians that may include the release of political prisoners, the withdrawal of IDF troops from areas of the West Bank and the easing of the Gaza blockade; and officially announce that peace talks will include all of the conflict’s core issues. Whew. The greater question is, are Obama and Clinton going to take concrete and hard-hitting punitive actions if Netanyahu refuses to acquiesce? Undoubtedly, the Israelis will consider the fact that midterm elections in Congress will make it politically difficult for an embattled US president to take any strong actions against Israel. But I suspect Netanyahu will be in for some surprises if he balks at compromises — at least further down the line. His ambassador in Washington is convinced that US-Israeli relations are facing their worst crisis in 35 years. While things may calm down for a spell, it will only be delaying the inevitable. There are myriad other problematic factors that have stacked up this time around, not least the US’s growing isolation in the region caused by its tacit and outright support of many Israeli actions — the Gaza war, human rights crimes, ongoing occupation and settlement activity, its illegal nuclear weapons program and the unsupportable targeting of Iran as the region’s next “Iraq” — issues that make US friends wary, if not downright agitated. The Arab states — including America’s closest regional allies — at the US’s urging risked their own domestic credibility by endorsing the ill-fated “Proximity Talks.” They are up in arms now, speaking to Washington with one voice and outraged that this US administration cannot reign in Israel. They will need more than reassurances this time. And if Petraeus has anything to say about it — and he has — the American military establishment can no longer turn the other cheek and pretend Israeli actions are not detrimental to the US’s national security interests. No matter the bluster by American officials that the US and Israel walk lockstep on security issues, this fiction threatens to unravel. The dated US-Israeli narrative has served the Jewish state well, but has endangered American interests throughout the Middle East for decades. I suspect that if Obama takes a strong stand and backs American interests over Israeli machinations, he will find more friends at home and abroad than he ever imagined. 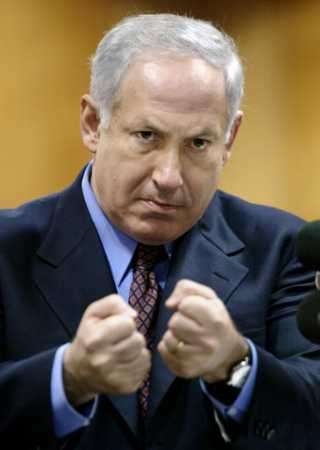 The alternative is that he allow Netanyahu to singlehandedly scuttle his entire Mideast agenda. First published on March 16, 2010 at the Huffington Post.